I first discovered Ranch dressing at Subway. It was an optional sauce you could add to your sandwich at the end of the production line and as soon as I tried it – I loved it’s garlicky goodness! For a really long time it wasn’t available in stores here in the UK – in America it is sold as a powder that you can make up with milk, water or mayonnaise, as well as ready made in a bottle. English supermarkets are now catching up and I think ready made bottles of Ranch Dressing are now available in most major supermarkets, however, the illusive powder variety, that can be made up to a dip, hasn’t made it across the pond yet.. While doing my rounds on Pinterest earlier I found this brilliant recipe to make a ranch powder that can be added to mayonnaise or sour cream! The original recipe can be found here, I’ll be using a couple of her images as I haven’t tried this one yet so all credit goes to her for those. As the recipe is American there are a couple of ingredients that are not that common here. So if you can’t find them I’m going to put recipes on how to make those too at the bottom! If you have to make all the ingredients as well as the dip – this will turn into a real labor of love! But its totally worth it and it would be perfect if you wanted a snazzy dip at a party for dipping bread sticks, cucumber, carrot sticks or celery – or a little kilner jar of this powder would make a great gift for that special foodie in your life. 2. Store in a glass jar with tight lid. 3. To make into a Ranch dip add 1 tablespoon of this mix to a 450ml carton of sour cream. 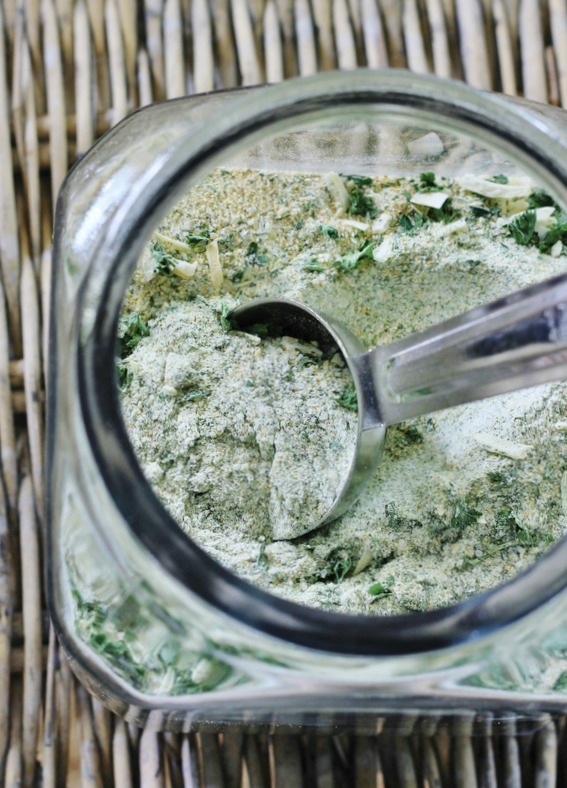 If you have trouble finding onion or garlic powder you can make your own using this recipe! You can make them all separate or put all three together too make a nice all-purpose seasoning. Onions If you want enough for the ranch recipe enough – just do one or two (three if they’re small!) but this is a great recipe to do in bulk and store in a glass far! The powder is also great sprinkled over cheese on toast before grilling or sprinkled over chips before they go in the oven. Garlic Cloves To make half a cup of garlic powder you’ll need to use a couple of bulbs of garlic. Chili peppers Not needed to the ranch recipe above – but always nice to know how to make your own chili powder! 1. Take your onions or garlic and chop them into thin slices – 1/4 inch thick or less. Take chili peppers and slice them in half and remove the seeds. 2. Spread the onions, garlic or chili out across a baking sheet lined with baking paper. Cook in the oven on the lowest setting you have (170 or less) until they are completely dry and not leathery. They should be brittle enough to break by hand and depending on the type of chili, onion and garlic used, some may dry out quicker than others. 3. Add to a blender or a food processor. You can make individual powders or add all the ingredients together for an all purpose seasoning. 4. Once the powders have been blended leave to settle for 10 minutes! If you open the lid at this stage it goes everywhere!! 5. Store in glass jars with tight lids.